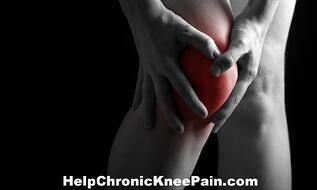 Look No Further For Effective Non-Surgical Chronic Knee Pain Relief! At Johnson Chiropractic Neurology & Nutrition, we solve a LOT of knee problems. Chronic knee problems are extremely frustrating. Getting out of a chair, walking up or down stairs, enjoying a simple walk in the park–these easily become impossible when your knees are in a chronic state of disarray. If you’ve been told that you have bone-on-bone arthritis and need knee surgery, then please keep reading. Many of our patients have been told the same thing and are now walking pain free after completing our program. We blend both natural therapies, such as Trigenics® and research-proven medical procedures to help our knee patients. I've been using a series of non-drug, non-surgical techniques to address knee pain for patients in my community with amazing success. Knee pain can result from muscle weakness in the front of the thigh (quadriceps), poor patellar (knee cap) motion, lack of hip extension and more biomechanical issues often glossed over by traditional methods of evaluation. All of this can lead to difficulty walking, standing, getting up from a seated position and the all too common bowlegged waddling walk as the knee cartilage is damaged over time. The knee isn't a simple hinge joint and it doesn't operate in isolation. The knee is connected to the hip/pelvis and foot/ankle. In my medical opinion, each of these connecting joints and their associated muscles that operate across them must be evaluated in order to determine the best treatment approach for each person. But that's not the total picture. The neurology MUST be understood. In other words, how are the nerves talking to the muscles. Is the system allowing for good overall strength and timing of contraction. That is the key factor in getting the results everyone wants. And, let's face it, recent scientific research has determined that common knee surgery isn't helpful  so why go through all the discomfort and expense? Pain medications offer temporary relief at best. NSAIDS, over the counter pain medications like Ibuprofen, are known to block cartilage and bone repair. So short benefits are pain reduction but long term consequences could be the promotion of cartilage degeneration and advancement knee arthritis with total knee replacement surgery recommended by the examining physician. Unfortunately many people who undergo full or partial knee replacement still suffer in pain! Physical therapy may help but is often limited in the scope allowed by insurance or the prescription and often isn't progressive. In other words, are they using outdated methods or cutting edge science. This is why I've pursued methods that not only work very well but act in harmony with the body, not against it. Every procedure we use is an effort to bring long lasting relief and ease of function back into your life. First, it is important to diagnosis the true nature of your knee issue. The knee does not work in isolation. Its connected to your ankle, hip, pelvis and lower back joints with a multitude of muscles and nerves operating across the knee joint. One technique I use to help patients is called Trigenics®. Trigenics® is a neuro-kinetic, sensorimotor treatment which instantly relieves discomfort and increases strength and movement. The complex procedures used in Trigenics® retrain the way the brain communicates with the muscles of the knee, eliminating the abnormal forces thus decreasing discomfort. The beneficial effects are instantaneous and seen immediately. Doctors call the area from your feet to your lower back the neurokinetic chain. The neurokinetic chain must have proper nerve function, be strong and properly aligned if you are going to get out of a chair and walk without pain. Just like each link in a bicycle chain must work for the bike to operate, each link in the neurokinetic chain has to be healthy too. You may feel grinding, popping, pain that causes your leg to give out or clicking when you move your knee which can mean you have a specific type of arthritis called osteoarthritis. We will do a comprehensive evaluation of all nerve, muscle and joint function from your feet, ankles, knees, hips, pelvic and lower back. Cutting Edge Laser Therapy helps with cellular repair of damage muscles, ligaments, bones and nerves. Pulsed Electromagnetic Field Therapy (PEMF) helps with cellular repair of damage muscles, ligaments, bones and nerves. Use of custom-fitted foot orthotics to improved alignment and joint function in the lower extremities. If, after a thorough case review, we accept your case, our goal will be help you avoid surgery and provide long-term benefits to your life. We can often tremendously decrease or completely eliminate pain and improve stability and motion of your knee(s). If for any reason we believe that your knee problem is too serious for this program to correct we will explain why and refer your to the proper professional. To schedule your initial case review to see if Johnson Chiropractic Neurology & Nutrition can help you overcome your knee problem, call (586) 731–8840 or click here to request an appointment. 1. Exercise therapy versus arthroscopic partial meniscectomy for degenerative meniscal tear in middle aged patients:randomised controlled trial with two year follow-up. BMJ 2016; 354 doi: http://dx.doi.org/10.1136/bmj.i3740 (Published 20 July 2016) Cite this as: BMJ 2016;354:i3740.